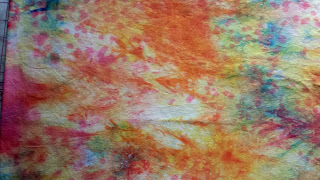 Attic Threads & Quilts: Easy Peasy Hand Dyed Fabric! 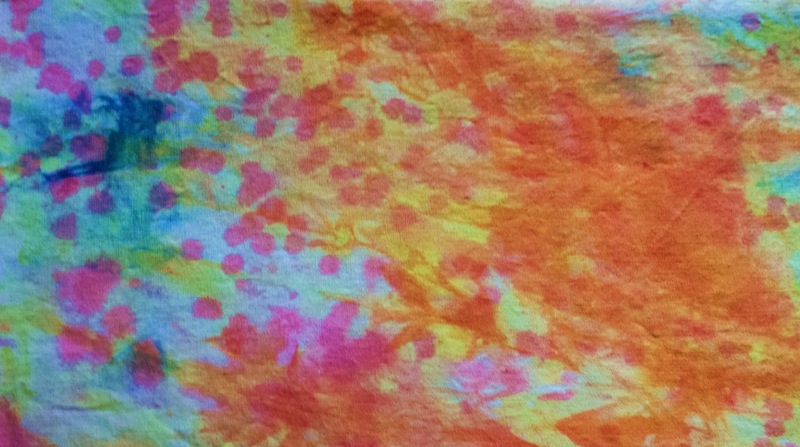 Easy Peasy Hand Dyed Fabric! Last summer I discovered Hand Dyes! Who knew it would be so much fun? and addicting? This is where it all started. 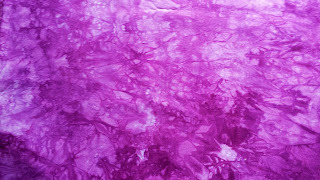 I hand dyed all the fabric I used in my quilt "Opposites Attract". It took 3rd place at MQS in the Fabric Challenge. My list of supplies.... not a lot. 2. Salt. 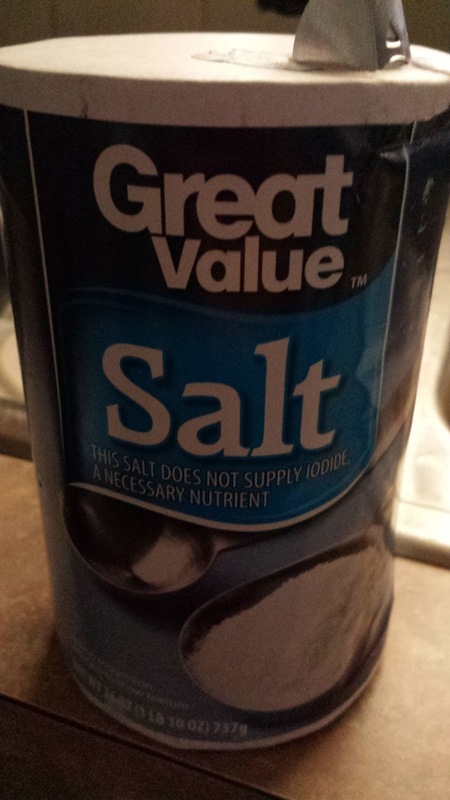 Just plain old cheap table salt. be found at most Grocery stores in laundry supplies. 4. Rubber gloves. Old clothes. USED WITH DYES FOR FOOD! NEVER NEVER NEVER!!!! Unfold the fabric. I used 2 yards. Scrunch it up. Place in the sink and completely soak with HOT tap water. Do not wring the fabric. I do this in a stainless steel sink and have never dyed my sink. Place the fabric into a plastic container. I'm using a gallon ice cream tub. I use a large butter tub for 1 yard of fabric. You want it to stay scrunched up tight in the container. Fill the container with HOT tap water until the fabric is just covered. Remove the fabric from the tub and place to the side. Do not wring the fabric. It will drain some water off, that's OK.
See, we didn't have to measure the water needed for our dye bath! Put on your rubber gloves, no one wants a dyed hand. At this point, shake in some salt, about 2-3 tablespoons is fine. Pour in some dye. I use about 1/2 the bottle for 2 yards. The more you add, the more intense the color will be on the fabric. Less dye, less intense. Stir well. some colors like yellow and orange need a little more stirring. I use a plastic fork. Pick up the fabric trying to not un-scrunch it. Do not wring the fabric. Place it in the dye tub gently. 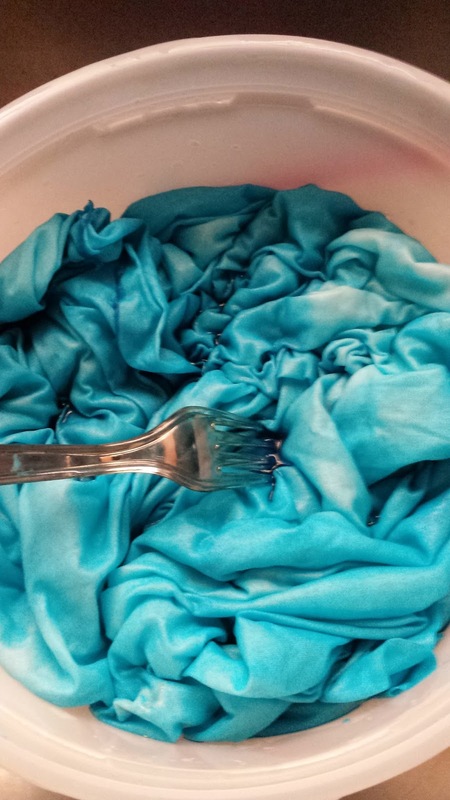 Push the fabric down (I use that plastic fork) until all the fabric has been slightly colored by the dye. You will have air pockets in the fabric. That's OK, you're suppose to. You will not have enough water to completely cover the fabric. That's OK, you're not suppose to. The fabric sticking out will dye lighter. The fabric on the bottom will dye darker. There will be varying shades of color through out the scrunches. Put the lid on the container and let it sit for at least 3 hours. The color needs time to develop. If you don't want a lot of light color in your fabric, you can periodically push the fabric down in the tub (with the plastic fork). I have even set some fabric to dye and left it over night. When the time has elapsed, open the tub and run COLD tap water in over the fabric. 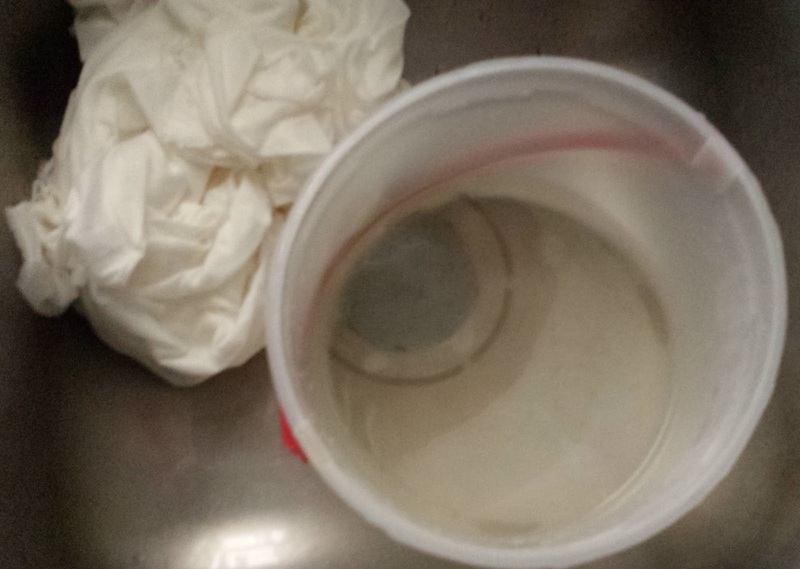 I tilt the tub so the water runs out the lower edge and aim the flow in the top of the tub. Run the water in this way until the water running from the tub is fairly clear. Dump the fabric into the sink and keep running COLD water over it. Use the plastic fork to spread the fabric open while rinsing. 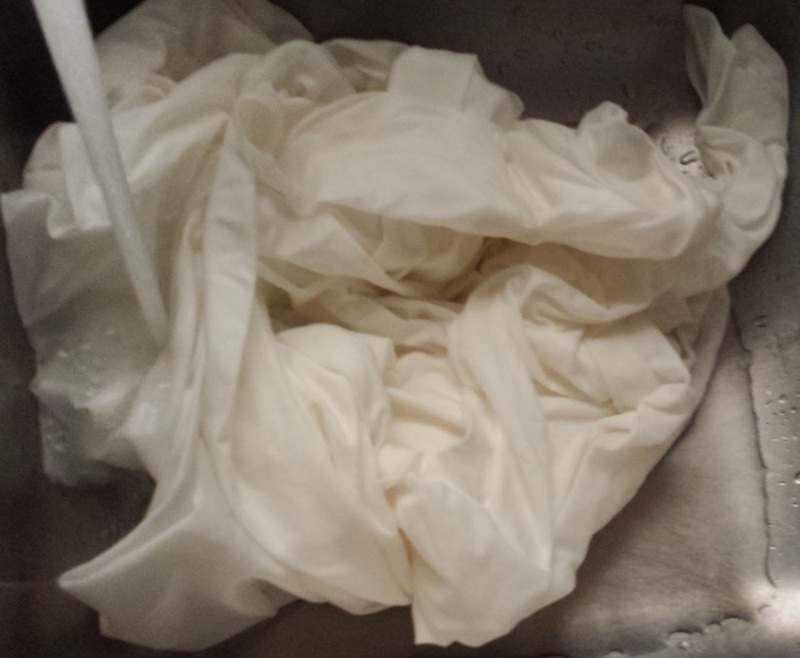 Once the water runs fairly clear from the fabric, I throw it in the washer. I wash it using my regular laundry soap. I usually throw in something to help it agitate, like an old towel or Hubby's jeans. I wash in COLD water with my machine set for 1 size larger load and extra rinse. Throw in the dryer and it's ready to use! The Aqua is still drying, but here's the purple! And then you can go crazy, mixing colors, over dyeing, squirting and sprinkling. I first dyed with Lemon. It wasn't as dark as I wanted. Dye bath 2 - I re-scrunched and twisted the fabric. I only filled the container with about 1 inch of water and used Tangerine dye. 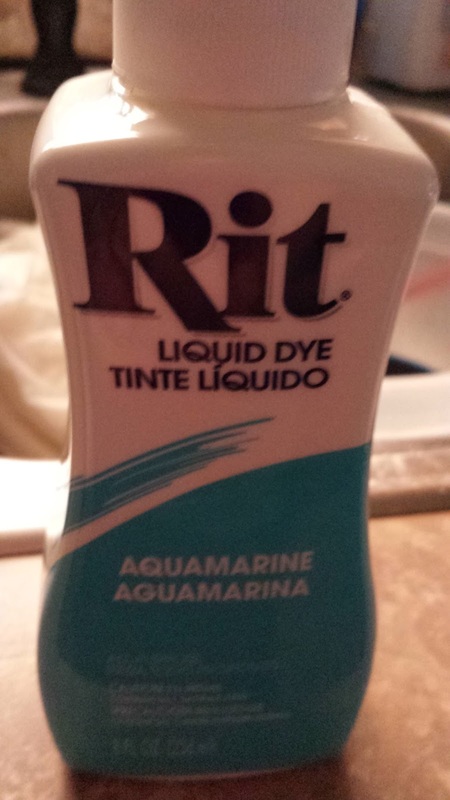 Dye 3 -- I had some Scarlet dye left, so I mixed with HOT water in a small squirt bottle. 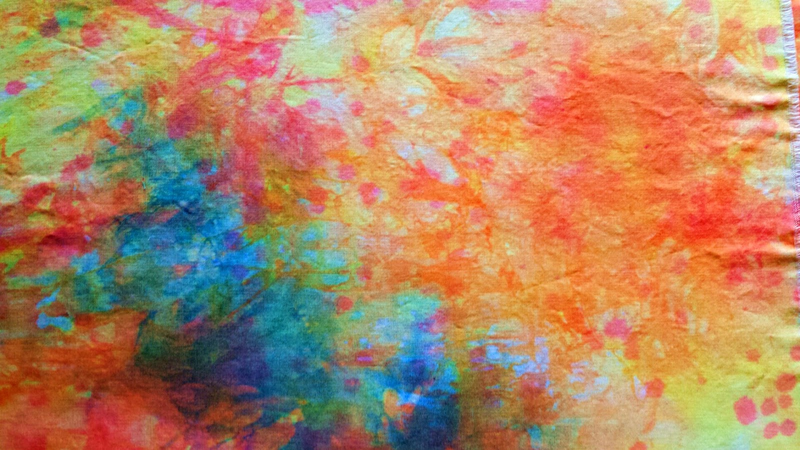 I laid the fabric out in the grass and squirted it. Some streaks, some dots, some dye pools. Yep, you guessed right, I just couldn't stop! 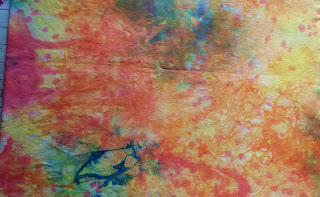 Dye bath 4 -- I re-scrunched the fabric with a twist. 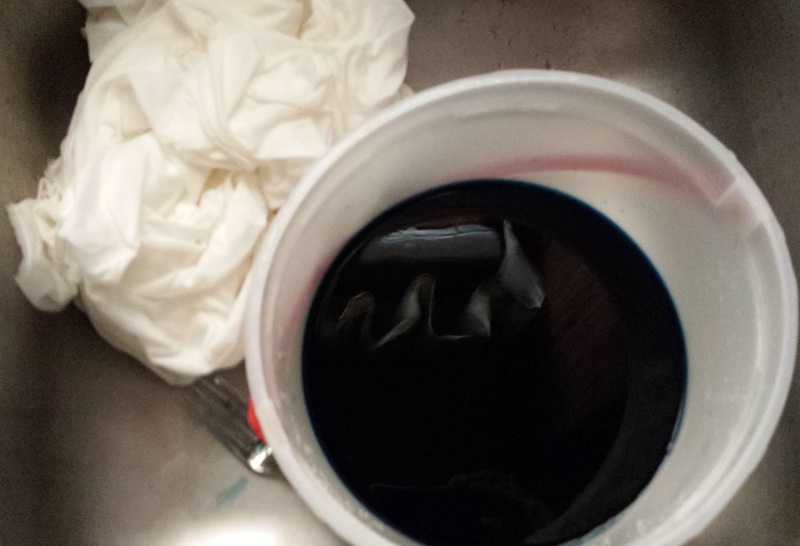 I filled the container with 1/2 inch of water and Royal blue dye. 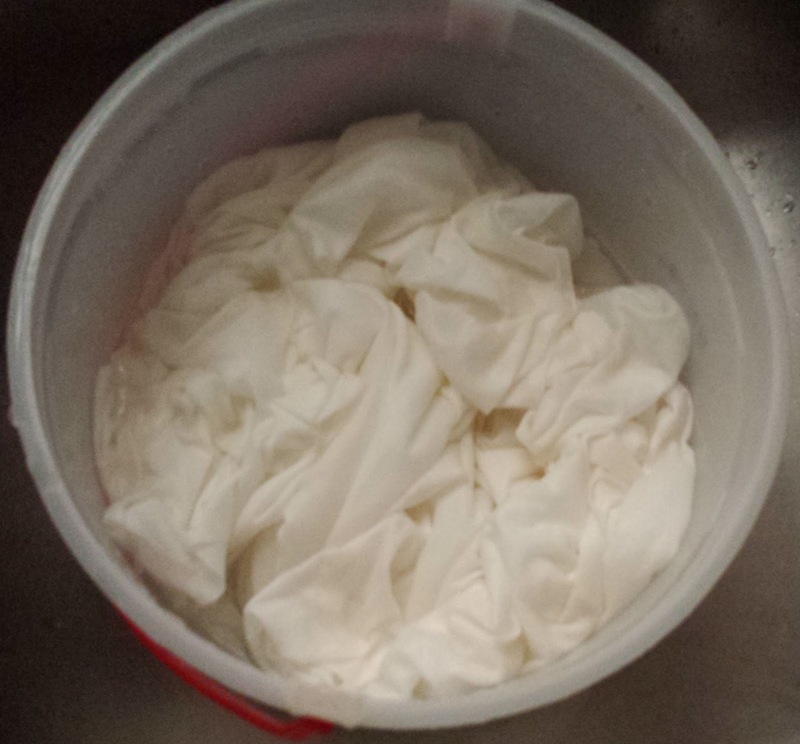 I completely rinsed and washed and dried the fabric between Dye baths. I probably should stop now.... not sure what to do with this 2 yard piece of Hand Dyed fabric. There really is no white in it, that's pale yellow that did not photograph well. I think it would work well cut up for Applique? 2 1/2" strips? What do you all think? Any ideas? I hope you enjoyed this post. I love Hand Dyes and I JUST CAN'T STOP! Thanks for teaching me! I can't wait to try to do this now! Just wait till we start painting fabric this summer! Wait, it is summer! Cool stuff! you're very creative with this work. I would say that yes, dyeing fabric is very fun and enjoyable. It's also a great way of bonding with your family or kids. However, dyeing is also important as it can also save you from additional expenses because when you have a faded towel or let's say, a favorite colored t-shirt that's starting to fade, you can just dye it, like what many hotels and spas do, they use industrial fabric dyes to dye their faded towels and cut down on the costs.